@MarcieMom met Amanda Roberts, the lady who listens and writes to close to 3,000 followers over Twitter for the Nottingham Support Group for Carers of Children with Eczema (NSGCCE) under the name @EczemaSupport. As MarcieMom has just started the support group for parents, and seeing that @EczemaSupport is so effective in engaging its followers, MarcieMom invited Amanda for a blog interview, so that both support group organizers and members can learn how to partner and build their support groups. Marcie Mom: Hi Amanda, thank you for taking time to answer my questions. First, tell us a little more about yourself and how you got into twittering for NSGCCE in 2009? 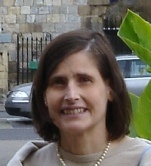 Amanda: Our group, Nottingham Support Groups for Carers of Children with Eczema, was started nearly twenty years ago. It is a joint initiative between carers of children and health care professionals. These healthcare professionals have so much knowledge and experience, and have made an impact on eczema services locally and nationally. Everyone involved works on a voluntary basis. This is lucky because it means we have never had to raise funds from commercial sources, so our information is demonstrably uninfluenced by corporate concerns. I am just a parent of two boys with eczema. There is, as you might expect, a family history of atopy – I have eczema, so does my mother: we have asthma, hay fever and anaphylaxis to contend with too. The group used to meet face to face every other month and we had carers attend from all over the region. But we knew there was a big need further afield which the meetings were not addressing. We developed our website and started to move toward providing support and information through web based applications. Twitter is so appropriate for reaching out to those within the Twitter community who are managing eczema within their family. It allows us to share and to learn. Fabulous. Marcie Mom: In today’s society where nuclear and double-income families are the norm, parents usually find it difficult to find time to meet other parents. Personally, I feel that it’s even more difficult to find secondary caregivers for eczema children because they require more care and attention. Do you think this is a factor that contributes to support groups being difficult to take off? Amanda: That is a good point. It has to be a factor. Meeting a need for eczema support in a time and a location convenient for the carer is one of the advantages we have found with moving to Twitter. Marcie Mom: Do you think parents prefer to participate in private group mails where only other members of the same support group can view or do you think they prefer public forums? Amanda: Parents and carers will have different feelings about this, and it will depend in part on what they want to discuss. There has to be a place for both scenarios. It is not necessary for a support group to provide both but if a person responds in a private group setting, they should be able to trust that their response will not be broadcast outside the group. Marcie Mom: What advice would you give to someone like me who is trying to grow a support group? Amanda: Growing a support group takes time and dedication; ideally you need a team to share the burden. Your situation will be different to ours, but we have been really lucky to have a group of people who have put long hours on an ongoing basis, into a variety of tasks and the group has grown and adapted to things. Marcie Mom: From your experience, what do you think a support group member can do to contribute to the support group he/she is in? Amanda: Support group members contribute by just being part of the group. Everyone is different, with different experiences and family needs. Sharing and learning from everyone else’s experiences has to be the value of support groups. Some may have skills they wish to contribute (which is great but not something that should be expected). Marcie Mom: Here’s the last question that I’m very passionate about. I organize face-to-face meetings and usually at affordable places near to public train stations because I want families that can’t afford cars to also be part of the group. It’s the same reason why I print the calendars to be distributed free in hospitals – Lower income parents may not have the time/resource to connect online. What do you think support group organizers can do to reach out to this group? Amanda: Undoubtedly hard to reach groups will need support. Personally I am very wary of solutions being imposed from outside, however. It is important that we are alert to opportunities to help, support and facilitate such solutions – but the start has to come from within. Marcie Mom: Thanks Amanda for this interview and supporting me with encouragements over twitter. It is actually a great and helpful piece of information. I’m glad that you simply shared this useful info with us. Please stay us up to date like this. Thanks for sharing. Useful information. Lucky me I found your site by accident, and I’m stunned why this twist of fate didn’t happened in advance! I bookmarked it.